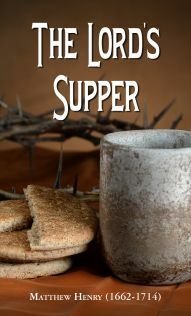 The Lord’s Supper is a masterful devotional commentary on the holy ordinance instituted by Jesus Christ the night before His passion. The symbolism given in the Upper Room serves as a memorial for Christians throughout the church age. The author wonderfully exalts the glories of the gospel as proclaimed in this ordinance. The last section explores a thorough self-examination so that this means of grace is fully appropriated and applied. Every Christian will be greatly encouraged in the full meaning of their gospel privilege to join the Lord regularly and meaningfully at His Supper.